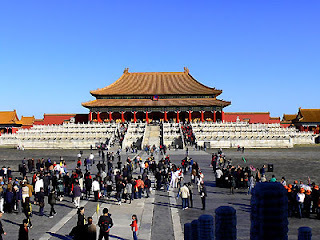 Construction of the royal complex in Beijing began in 1407 and completed 14 years later, in 1420. The complex is surrounded by walls as high as 10m and have a room of more than 8,700. Because the yellow is the symbol of the royal family, palace building decoration is dominated by the color yellow. Palace Museum has a gate entrance on each side. Distance north to south side of the gate is 960m, while from east to west is 750m. In 1987, this place is recognized as a UNESCO World Cultural Heritage. The uniqueness of the building and the history behind the building makes the Palace Museum as one of the most famous attractions in the world. 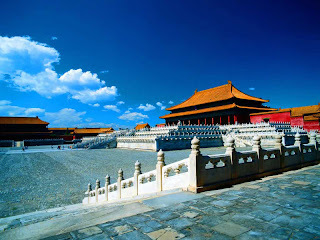 Travelers who visit the Forbidden City or Palace Museum not only from domestic but also foreign tourists. Decorative splendor of the architectural style of buildings will be complete by the wonderful heritage property to satisfy the vision of modern society. Due to so many visitors that arrive on a holiday, the manager was trying to control surges by providing the highest limit of up to 80.000 visitors per day. Half for the visitors who come in groups, half again for the visitors who came alone.